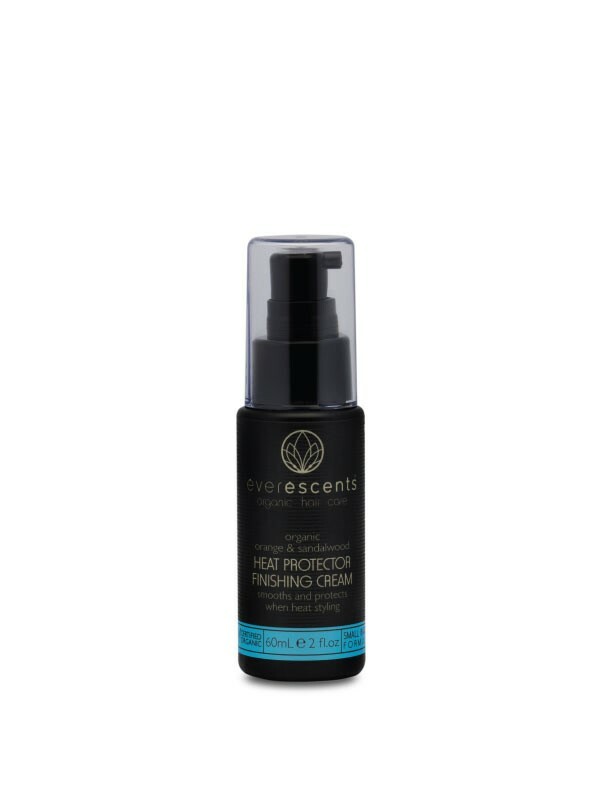 This Everescents Grapefruit & Lemongrass Organic Hairspray Mist ia a longtime favourite has had a makeover, with a new design label & less tacky formula! 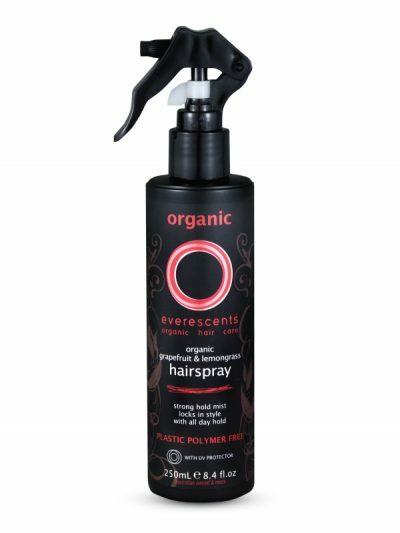 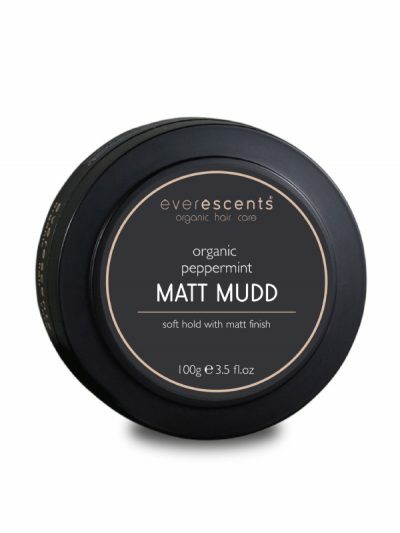 A natural hairspray lacquer that provides strong hold and a natural gloss finish without any aerosols. 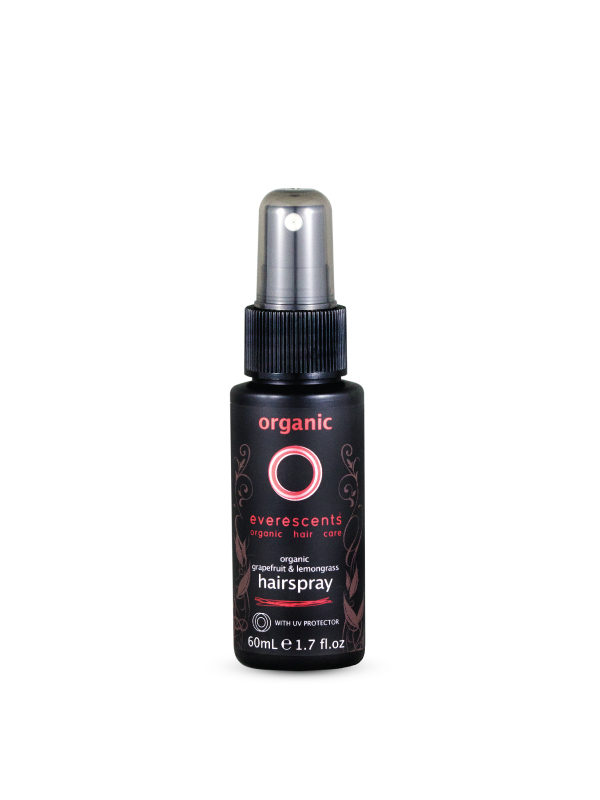 The natural formula is water-resistant, strong, durable and packaged in an easy to use trigger spray or a convenient travel size mist spray. A natural UV protector & hold-factor means no petro-chemicals, plastics or polymers – this gentle formula means no more scalp or eye irritations! Alcohol** (plant derived hold factor), Rosa Centifolia Flower Water*, Shellac** (hold factor & UV protectant), Glycerin**, Citrus Grandis (Grapefruit) Peel Oil*, Cymbopogon Schoenanthus (Lemongrass) Oil*, Pogostemon Cablin (Patchouli) Oil*, Rosmarinus Officinalis (Rosemary) Leaf Extract*, Polysorbate-20, Potassium Hydroxide** (Potash Ph balancer), Sage Officinalis (Sage) Leaf Extract*, Tilia Cordata (Linden) Flower Extract*, Urtica Dioica (Nettle) Extract*, Betula Alba (Birch) Extract*, Equisetum Arvense (Horsetail) Leaf Extract*, Achillea Millefolium (Yarrow) Extract*.